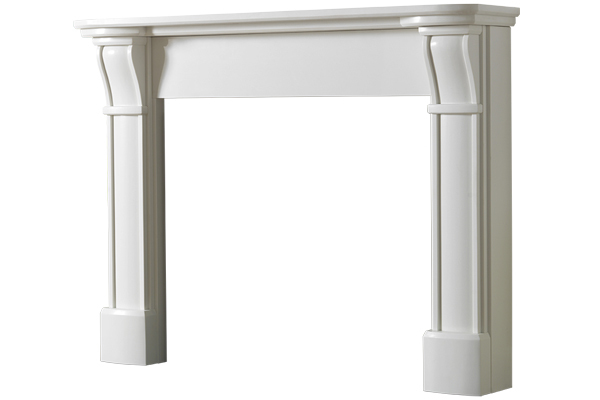 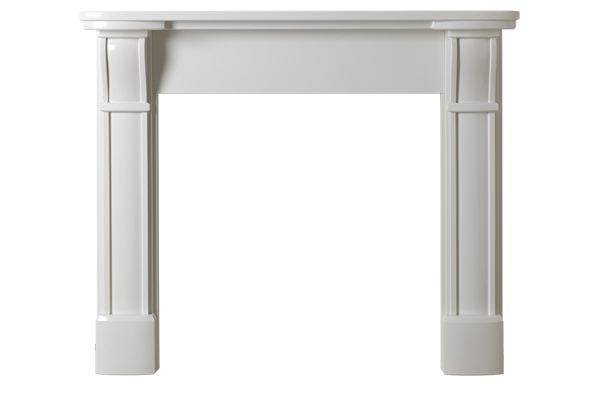 The Ripon is an attractive and contemporary mantel seen here in Polar White, a man-made micro marble predominantly white in colour. 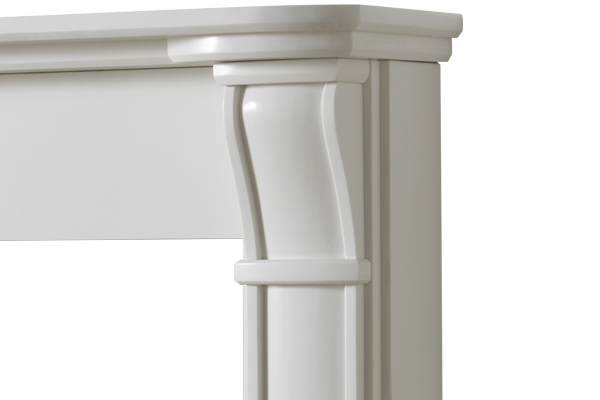 This mantelpiece has a two-tier shelf with the second tier curved to match a curve to the legs, corbels and feet. 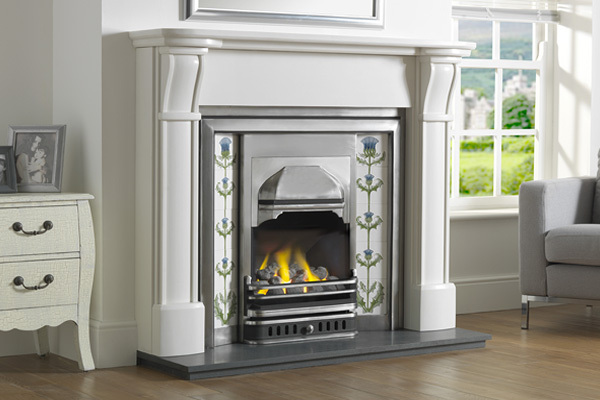 The Ripon comes with a shelf length of 1350mm (53″) and a standard internal rebate of 75mm (3″) allows for the fitting of a back panel or cast-iron insert. 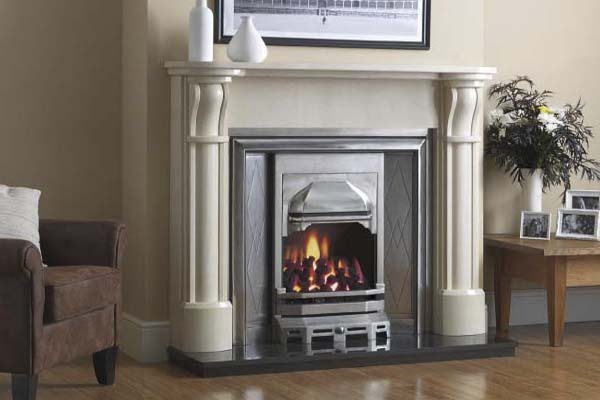 The Ripon is also available in Roman Stone micro marble, and occasionally Slate Stone, a pure black sandstone that looks similar to Welsh Slate in colour and texture.